Mom's Gone Bronson! : Ovation Brands Share's the IDIOTEST FAMILY NIGHT GIVEAWAY! 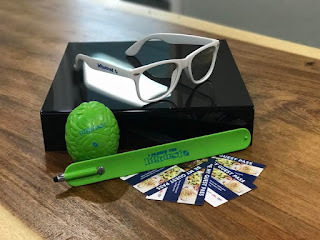 Ovation Brands Share's the IDIOTEST FAMILY NIGHT GIVEAWAY! Disclaimer: I was provided with products in order to give my own opinions about the product or services. Your views may differ to mine. Thank you. 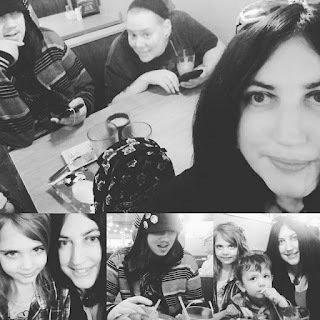 So we went out to Old Country Buffet this weekend and the kids and my friend came along and everyone got settled in really quickly for a great meal, with lovely staff and great atmosphere. It was very busy - busier than I've ever seen it, but it was still so much fun that it is always a great time with friends and family no matter when we go. If you go on Thursdays, though, you can partake in FAMILY NIGHT with this months theme being the IDIOTEST FAMILY NIGHT, which is lots of fun for all the family with a trivia game earlier this month, then a game show night, kidiotest and, this week coming: ACT IT OUT. If you head on over to Old Country Buffet, or their sister chains (Ryan's, Hometown Buffet, Country Buffet) or Furr's Fresh Buffet, then you can enjoy family night on THURSDAY 30th. You will be able to follow the following week on April 6th with the theme of SPIN TO WIN! Family Night is every Thursday between 5pm and 8pm. This series of Family Fun Nights gives you and your kids a chance to eat dinner together, get out of the house, enjoy some great food and maybe even learn something new. To celebrate Family Fun Night's with Ovation Brands and Furr's Fresh Buffet, we are offering one of our readers a 4 pack of guest passes to eat free at one of the participating restaurants, plus a squishy stress reliever in the shape of a brain, a snap-bracelet and a pair of brainiac play glasses for the kids to have fun with. If you would like to be in with a chance of winning this giveaway, please enter via the rafflecopter, below. THIS IS A FLASH 3 DAY giveaway and the winner will be announced promptly with the prize being shipped directly from our sponsors at Ovation Brands. Please enter via the rafflecopter, below, and share away! GOOD LUCK and HAPPY FUN NIGHTS!! Don't forget to check out Ovation Brands at their website, for more information on their eateries and friends! Thank you! So many good things to choose from but I love Old Country Buffets fried chicken and the roast beef. Theres so much bit I love the Roast Beef! I love the salad bar at the buffet. BREAD!! Actually I love it ALL!! I'm not sure if I could choose just one. Usually I love the potatoes and meats. The salad is great too!